When trying to breed good Labrador Retrievers it is important that the whole dog is considered. Aspects such as temperament, type, quality and working ability are all very important, and so too is soundness. As with most breeds problems occur from time to time. HOWEVER, puppy buyers must try to understand that there are no guarantees when you buy a puppy. Conscientious breeders try to reduce the chances of inherited problems in the puppies they breed by using the health schemes available at the time. Several health control schemes have been set up by the British Veterinary Association and the Kennel Club (BVA/KC). These can be used to help with the breeding of sound Labradors. All of these issue certificates from acknowledged veterinary experts in the fields of radiography or ophthalmology. Results are published quarterly in the Breed Record Supplement and appear on KC registration documents. 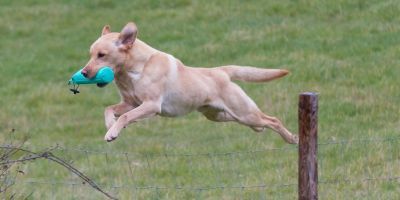 The Labrador Retriever Club strongly recommends that all breeding stock is evaluated for Hip and Elbow Dysplasia & inherited eye diseases using one of the schemes. The Club also strongly recommends that prospective puppy buyers only buy from breeders that have had both parents BVA/KC hip and elbow scored and eye examined as unaffected (using the BVA/KC, EVCO or AHT eye schemes). You may like to look at The Kennel Club's Estimated Breeding Values scheme on their website which can help inform breeders when deciding on a choice of stud dog or dam. Centronuclear Myopathy (CNM) in Labrador Retrievers is an hereditary myopathy characterised by skeletal muscle problems such as muscle weakness and exercise intolerance. It is also known as hereditary myopathy of the Labrador Retriever (HMLR). General Progressive Retinal Atrophy (GPRA) DNA testing for (more correctly, PRDC in the Labrador) is gradually are becoming available to dog breeders in order to check whether individuals are genetically clear/normal, or carriers, or affected by this inherited disease before they develop the clinical symptoms. One such test is available for a rare but serious eye disease which can occur in Labradors. It is usually referred to as General Progressive Retinal Atrophy (GPRA) but more correctly is called the PRCD form of PRA. Currently there are three eye examination schemes available in the UK. All utilise acknowledged veterinary ophthalmologists: the BVA/KC Eye Scheme (the main scheme), the EVCO & the AHT. Results of examinations are published in the quarterly Kennel Club BRS. Hereditary Cataract (HC) this condition may be due to a dominant gene with incomplete penetration, or due to a recessive gene; the type found in the Retriever breeds causes posterior polar cataracts. Only rarely does it cause total blindness. General Progressive Retinal Atrophy (GPRA) a very serious eye disease causing total blindness; inheritance is probably due to a simple recessive gene. Total Retinal Dysplasia (TRD) is a rare cause of blindness in young puppies. It is caused by a simple recessive gene. Multifocal Retinal Dysplasia (MRD) seems not to affect eyesight, inheritance unknown at present, possibly due to a simple recessive gene. The OptiGen prcd-PRA Test is a DNA-based test that helps you avoid one form of Progressive Retinal Atrophy (PRA). PRA refers to a group of diseases that cause the retina of the eye to degenerate slowly over time. The result is declining vision and eventual blindness. “prcd” stands for “progressive rod-cone degeneration” which is the type of PRA known in several breeds.